The Body Tuners consist of two tuning forks, the C and the G, they create a ratio of 3/2. Body Tuners are a special interval known in music as a perfect fifth. The Body Tuners are the ideal beginner’s set. 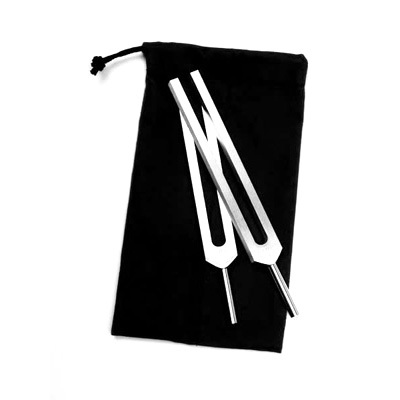 The most powerful tuning fork combination, the C and G tuners create a “perfect fifth” and open the gateway for healing and higher consciousness. Listening to these two different tones, your body makes one tone, bringing your whole nervous system to balance and integrating your mind and body. Within 30 seconds (the same amount of time it takes to stretch a muscle), you can achieve a state of unification and deep relaxation, which might take you 45 minutes to reach through meditation.